An early WWI American dog tag to a William Dwyer serial number 6939257. An unusual and detailed American souvenir "Dough Boy" spoon In sterling silver maker SSMC and good condition. The bowl of the spoon reads "Worlds Greatest War began on Aug. 4 1914 U.S. entered Apr 6th 1917"
An original 301 Aero Squadron patch, white embroidered on dark blue cloth. 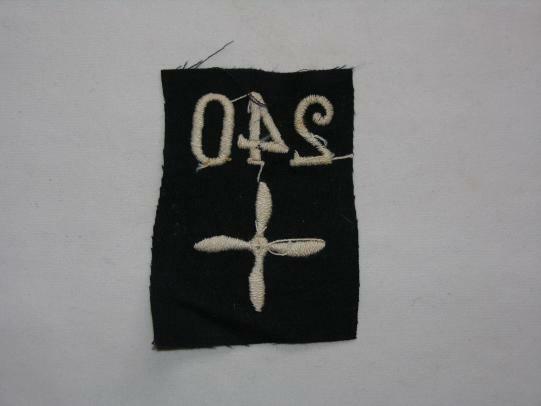 Measures 4" x 3 1/8"
An original 240 Aero Squadron patch, white embroidered on dark blue cloth. 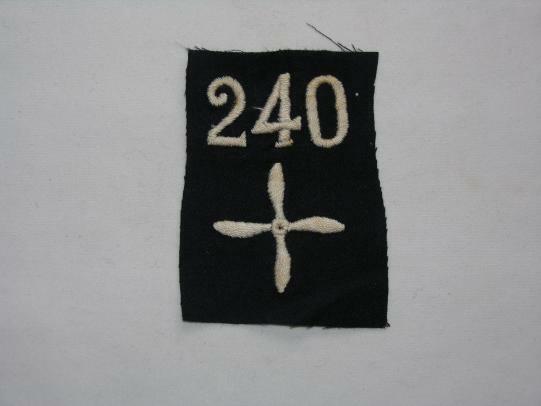 An original 241 Aero Squadron patch, white embroidered on dark blue cloth. made with typical loop fittings with split pin. Small size. 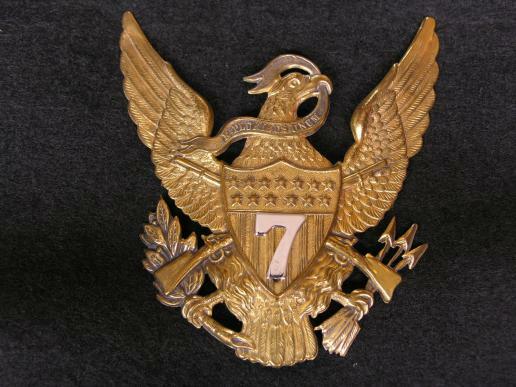 Measures 2" x 1 3/4"
This one is a scarce U.S. Cavalry Helmet Plate, bearing the number 7 which is attached via two screw fitting, the fitting lug on the left back is missing but retains the right and the lower lugs. 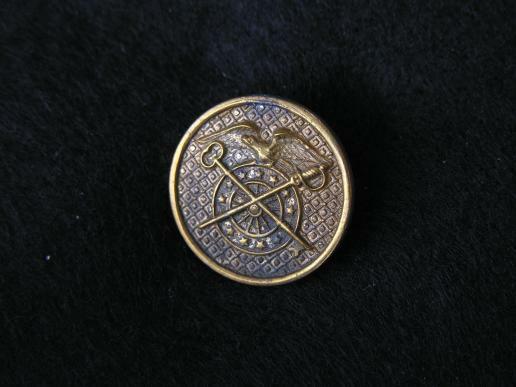 A good pin back early version. 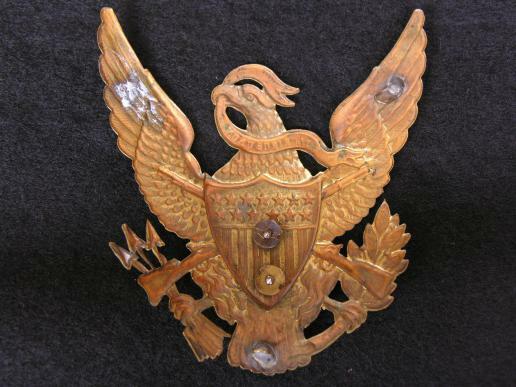 A good welll struck collar for an enlisted in the Texas N.G. Screw back fitting. 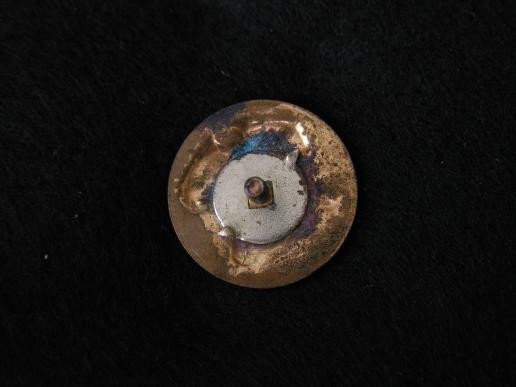 An enlisted Quartermaster collar badge, screw back measures 1"